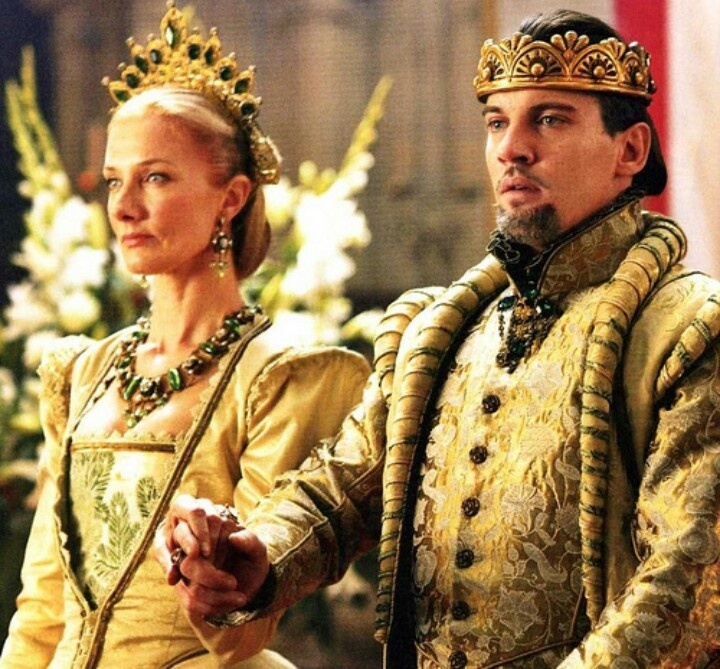 Henry VIII (Meyers) and Katherine Parr (Richardson) in “The Tudors” s4. Henry VIII married Katherine Parr at the Queen’s Privy Closet on Hampton Court Palace on July 12th 1543. Katherine Parr was Henry VIII’s sixth wife. She was a rich widow who’d been married twice, first to Sir Edward Burgh and then to John Neville, Lord Latimer. In Katherine Parr, Henry VIII got a Consort who many agreed was worthy of her position. The Imperial Ambassador Eustace Chapuys who was very critical of the English court, had nothing but good things to say of her, saying that besides Queen Katherine of Aragon, Katherine Parr was the only other wife worthy of being Queen. There were some rumors that Henry’s fourth wife, Anne of Cleves, now the King’s sister, was very angry when she found out that Henry chose the Lady Latimer as his next consort. She reputedly said that she could not understand why he did this when she (Anne) was more attractive. We have to be careful to take these sources as the ultimate truth. It could be that Anne felt jealous because Henry chose someone she didn’t consider beautiful, or she simply didn’t approve of Katherine. Regardless of this, Henry’s new Queen had many notable qualities. 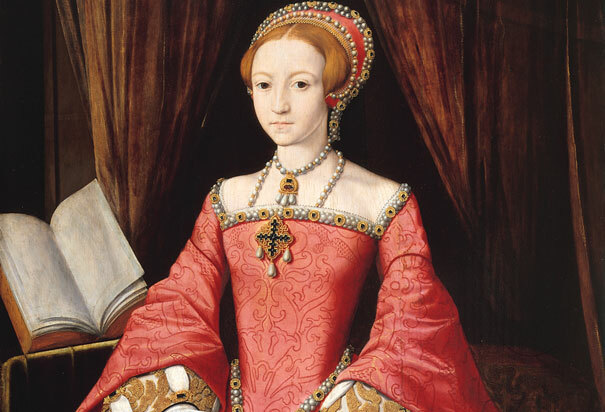 Born in 1512, she was a close friend of the Lady Mary who was four years her junior. She was a descendant of Edward III through her father Thomas Parr, and related to the King’s great-grandmother Elizabeth Woodville, through her mother Maud Parr (who had served under the first Queen Katherine and stayed loyal through her throughout Henry’s marriage to Anne). It is very possible that she was named after Henry’s first wife who made education for girls fashionable, and like her namesake, she followed in her footsteps. 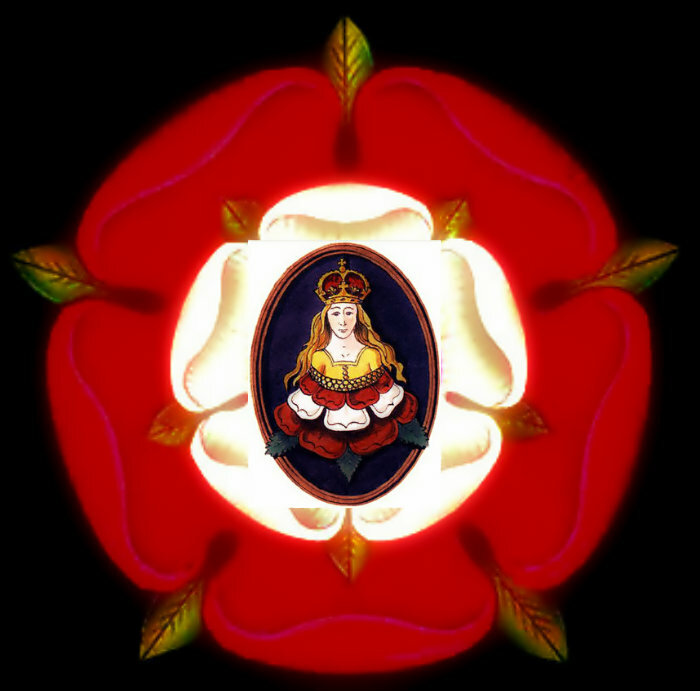 Katherine Parr’s badge in the center displays a fair maiden crowned and springing from a Tudor rose. 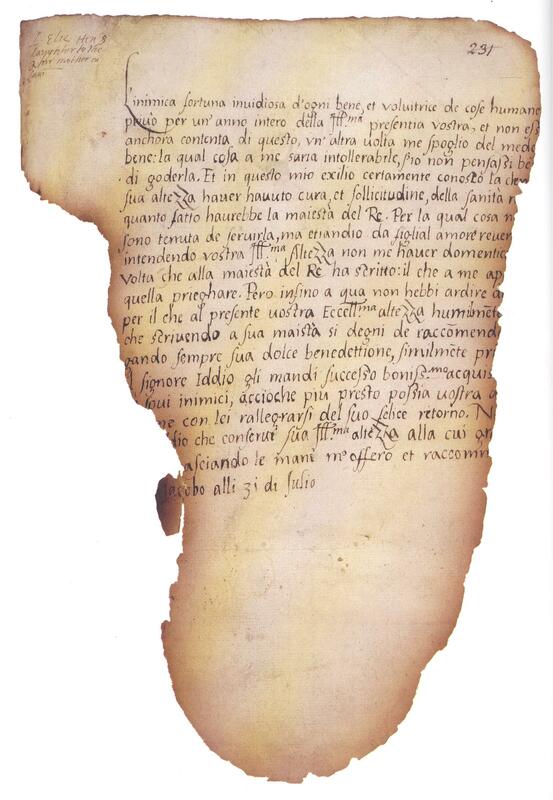 The marriage contract had been drawn up two days before by Thomas Cranmer, the Archbishop of Canterbury. The ceremony had been conducted by Bishop Gardiner “in the presence of noble and gentle persons” being “private” and “without ceremony”. There is no record of what Katherine Parr wore to the ceremony but records display the names of the people present. Among them was her family, including her brother William Herbert and the Earl of Hertford and his wife Anne Stanhope. The Earl of Hertford, Edward Seymour was brother to Sir Thomas Seymour, the man that Katherine wished to marry. He was obviously not present because the King had sent him abroad so he could marry Katherine. 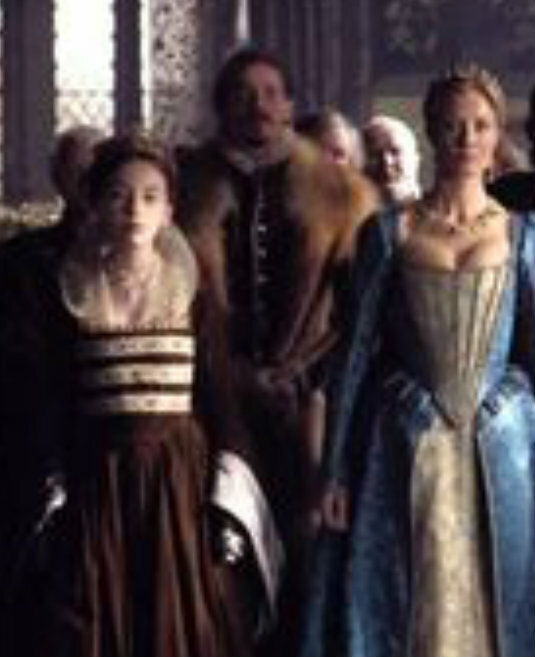 Other guests included Catherine Brandon, Duchess of Suffolk (married to the King’s best friend and brother-in-law, Charles Brandon), John Dudley’s wife Jane, the King’s niece Margaret Douglas, and his daughters the ladies Mary and Elizabeth Tudor. These words are still being used for Anglican weddings. After the King and Queen said their vows, the King put on her wedding ring, then the Bishop pronounced them man and wife. 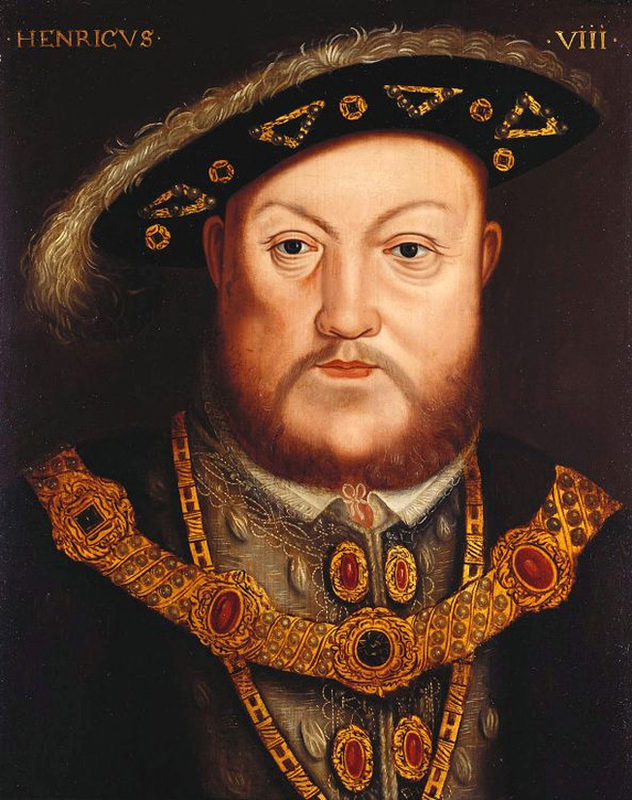 People noted how Henry spoke his vows “with a joyful countenance”. A member of Katherine’s household once said that her “rare goodness” made “every day a Sunday.” Everyone soon found out this was true. The new Queen was intelligent and lively. She loved to dance and dress in the latest fashions, and engage in good debate, as well as enjoy a good poetry book. And what was more, she got along with all of her royal stepchildren, especially the Lady Mary Tudor whom she spent more time (since the two were closer in age). She had been very influential making sure that Prince Edward’s tutors continued with his Protestant instruction, and she developed a relationship with the youngest Tudor that influenced her in more ways than one. Her chaplain Francis Goldsmith remarked that “God has so formed her mind for pious studies, that she considers everything of small value compared to Christ. Her rare goodness has made every day like Sunday, a thing hitherto unheard of, especially in a royal palace. Her piety cherishes the religion long since introduced, not without great labor, to the palace”. She surrounded herself with other religious intellections such as George Day, the Bishop of Chichester who worked as her almoner, and the humanist Sir Anthony Cope who acted as her vice-chamberlain. It is also worth to point out that during her time as Queen, Henry VIII restored his daughters to the line of succession. Linda Porter in her latest book Tudors vs Stewarts notes that “in observing Katherine Parr as regent and Queen consort, Elizabeth learned a good deal about how women could think for themselves and govern. She greatly admired her stepmother’s literary output and clearly discussed religious ideas with her when they met, which was not nearly often enough for Elizabeth’s liking”. 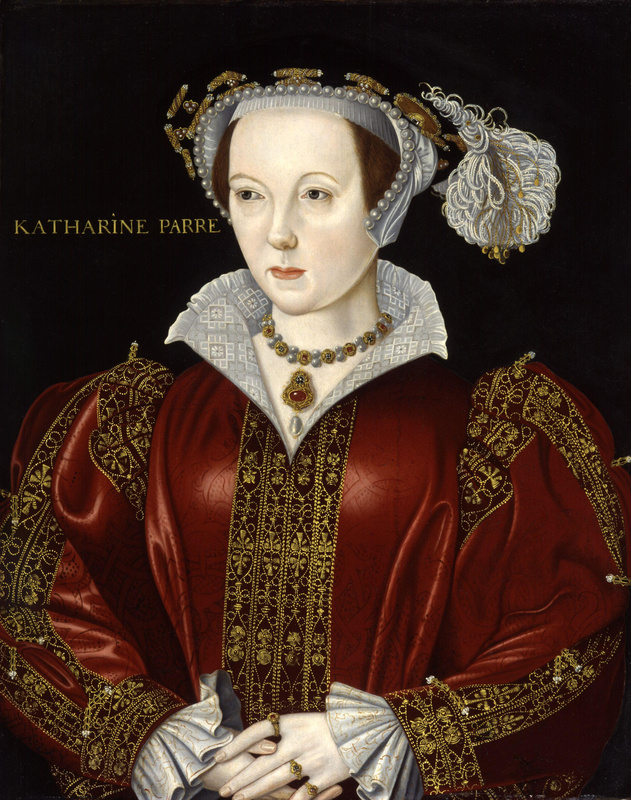 Katherine Parr is the only other Consort besides Katherine of Aragon who was appointed Regent when Henry left to engage in another expensive war against France in 1544. Katherine Parr remarried almost immediately after Henry’s death to Sir Thomas Seymour who was elevated to Baron Sudeley after her stepson became King. Sadly, her life took a turn for the worst when she found her household embroiled in scandal. It is unclear what the nature of Thomas Seymour’s relationship with Elizabeth was, if he had forced himself on the fourteen year old, or if it was something else. But it upset Katherine greatly and although Thomas Seymour tried to make it up to her, in her delirium (after giving birth to her only daughter whom she named after her eldest royal stepdaughter) she blamed Thomas for all her ills. She died days after and her husband soon followed after he was involved in a plot to depose his brother the Lord Protector and Duke of Somerset. Their daughter, Mary Seymour probably died a year after in 1549.